Christmas is my favorite holiday, and decorating our Christmas tree is my favorite holiday activity. We collect all kinds of ornaments and I love pulling the bins out each year and remembering special events and travel destinations based on the ornaments we bought or received that year. So I was super excited to find out that Erlene from My Pinterventures was gathering up 80 (!) 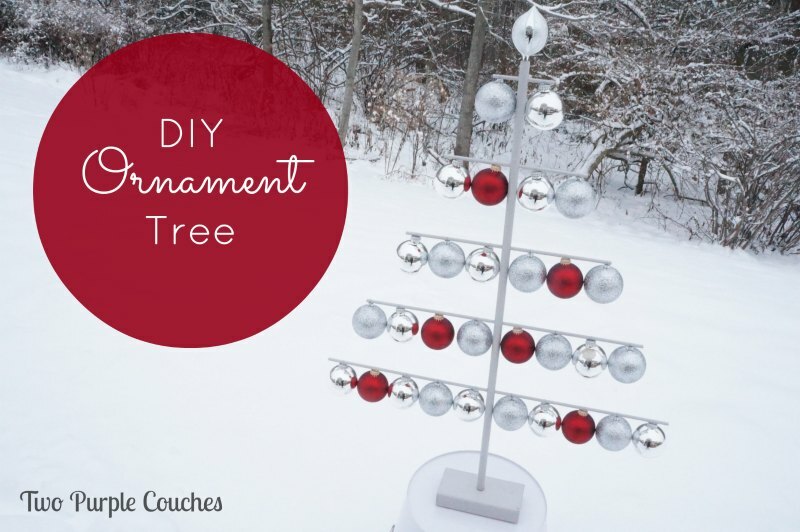 bloggers to participate in an Ornament Exchange. I was paired with Michelle from Our Crafty Mom, and it was easy to see why—we both love owls and the color purple! 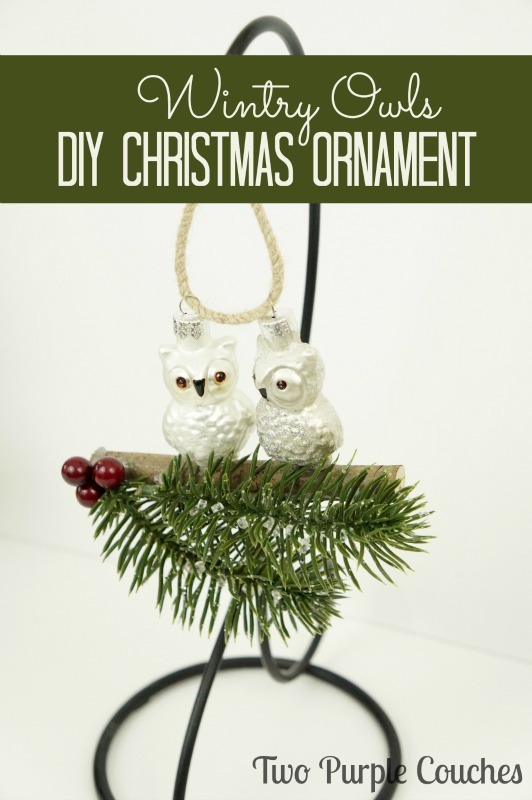 When I spotted some miniature owl ornaments at Hobby Lobby, this idea for a Wintery Owls Christmas Ornament popped into my head. I thought a couple of owls would look so cute sitting on a branch, as if they were just hanging out, enjoying a wintery day together! Optional: glitter and/or faux snow. I was originally going to add some of these at the end, but decided it didn’t need it because the faux greenery already has some crystally bits. 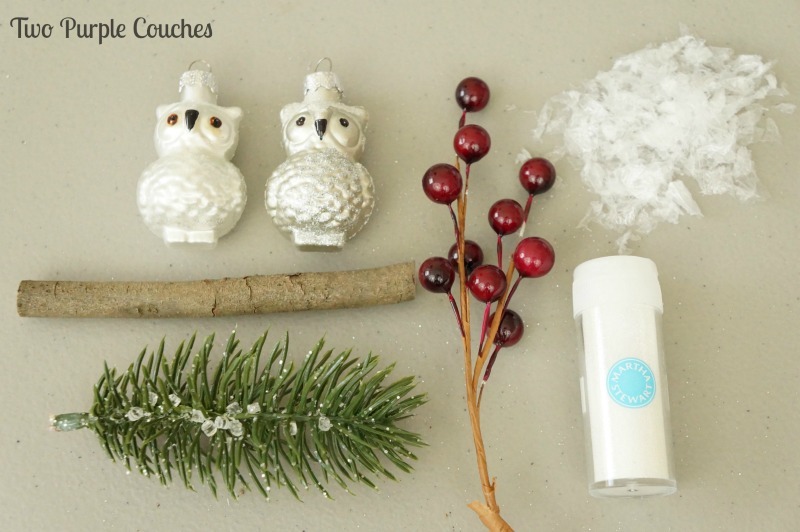 I started by adding the faux greenery and red berries to a branch with hot glue. Then I glued down two of the owls and added a loop of thick twine for hanging. 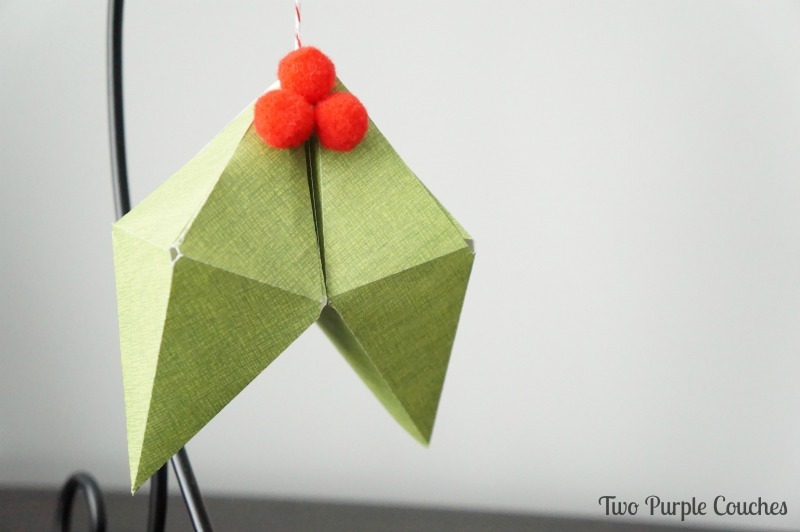 It only took a few minutes and this adorable wintery owls Christmas ornament was finished! I love how it turned out, and a little birdie told me that Michelle does too (wink). There’s a good chance I’ll be making one of these for myself before Christmas gets here! 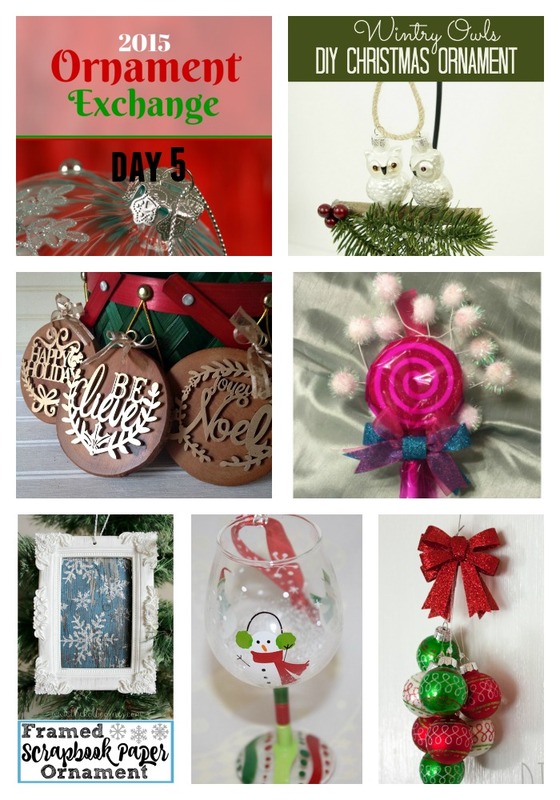 And don’t miss the full two-week list of bloggers and their ornaments here! This entry was posted in Made It Myself on November 5, 2015 by Two Purple Couches. Just popping by as I too am participating in the ornament exchange. What a delightful ornament. You are truly clever and crafty. How cute did these turn out?!?!?! So simple yet turned out so lovely. Beautiful job on your ornament! Ohhh your handmade ornamet is so beautiful and adorable! How cute! What a great way to show off the owls. These are adorable!! After a failed trip to Michaels I ended up buying mine. So cute, I love the owls. I will have to get to Hobby Lobby quick! Thank you Joy! I found these in the section with all of the miniature tree supplies. I hope your store still has them! Oh my gosh! 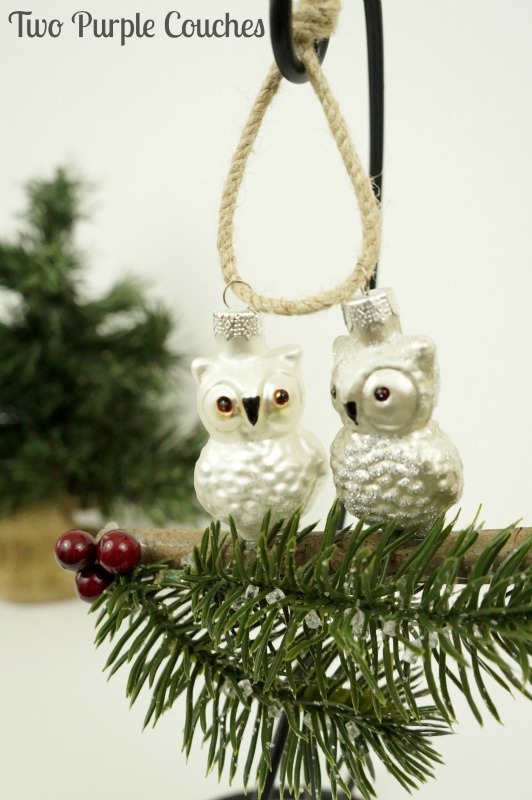 Your little owl ornament is too cute. What a nice way to add an extra bit of dimension to your decoration. I absolutely love owls! This is so adorable! I absolutely love this! My tree is pretty rustic I am trying to add different birds to it every year. I have a few owls and this year I am going to add cardinals. Thanks for sharing! Can’t wait to see what my partner made me. Aww! These are so cute! I love the little owls! I am also participating in the ornament exchange. It’s so fun to see all the different ideas everyone has! Thank you Pamela! I love seeing all of the different ideas, too! Everyone is so creative! I love how you have the twine going through both owls to hang. That gives them a sense of togetherness. 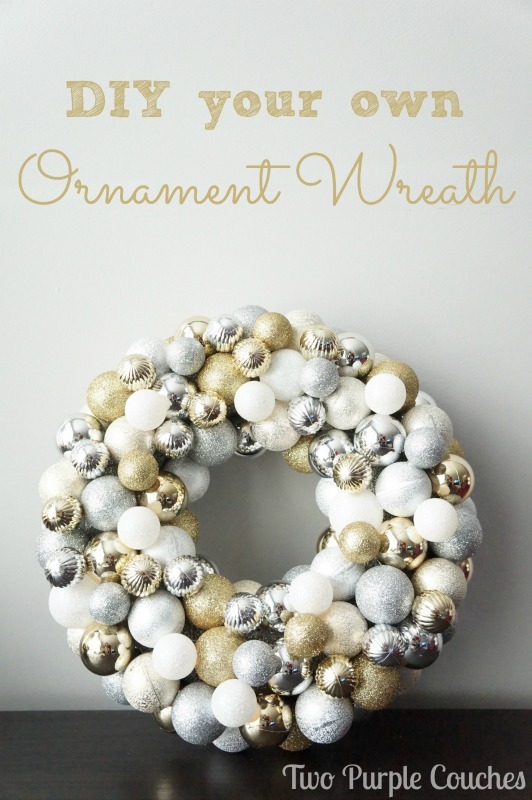 Great idea to use existing ornaments to make your own creation! 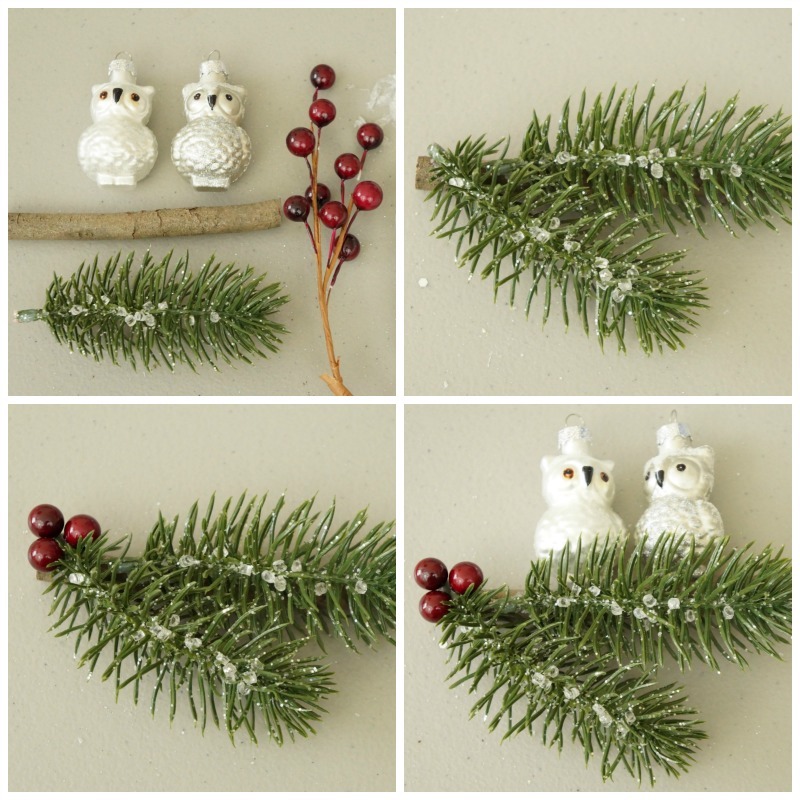 I love owls and I love that you use two mini owls to create this special one of a kind ornament. Super cute! Thanks Erlene! 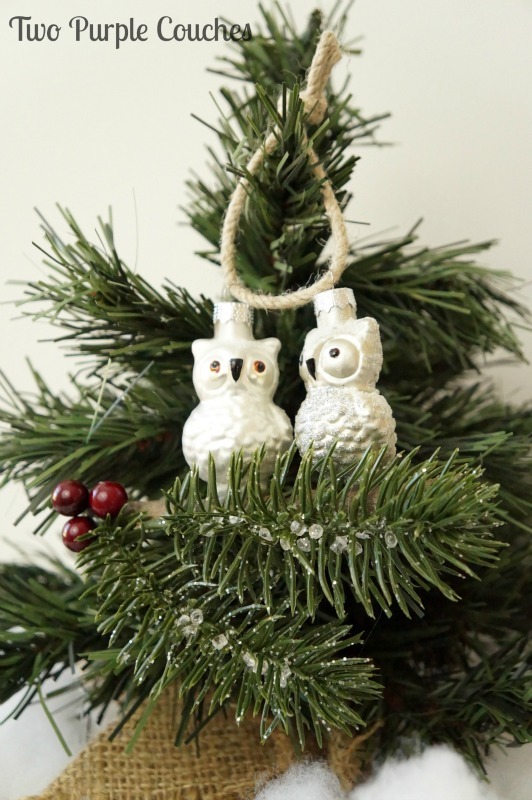 I still have two of these owls left; I might need to make myself one of these ornaments! Thank you for organizing this Exchange; it’s been so much fun! This ornament is so cute! I have a friend who is OBSESSED with all things owl, and this would be perfect for her!